An MBA game at the SENTRUM. Photo from the DLSL Archives. In 1998, a new professional basketball league opened shop in a way that interested me more than anything that the PBA does and ever will. The league was called the Metropolitan Basketball League (MBA) and its member franchises were community-based similar to America’s National Basketball Association (NBA). 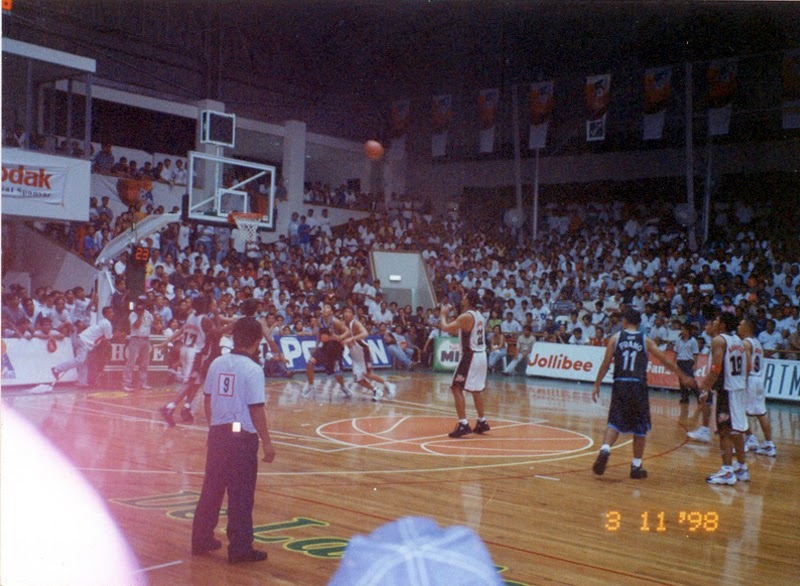 Thus the teams, among others, were called the Laguna Lakers, the Iloilo Megavoltz, the Pampanga Dragons, the Davao Eagles and the Cebu Gems. Just like in the NBA, matches were played home and away, allowing communities the opportunity to rally behind their respective teams. 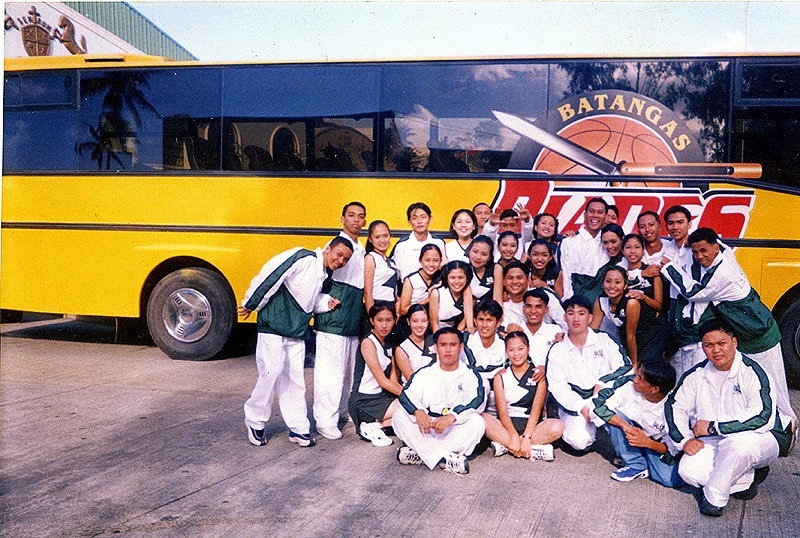 There was also a founding franchise called the Batangas Blades, who played their home matches at the SENTRUM of De la Salle Lipa. The franchise was owned by the Aranetas, who had asked Br. Rafael Donato, then President of DLSL, for a discounted rate to use the venue as the team’s designated home court. At the time, I was director of External Services; and my department was in charge of the SENTRUM’s operations. Hence, I and the Roy Dimaculangan, the Sports Manager of DLSL, had a ringside view to the birth of the new league. The Blades' balloon rose above the SENTRUM on match days. Photo from the DLSL Archives. I have always had no more than a passing interest in the PBA because I was never really a basketball fan to begin with. The format of the MBA, however, captured my imagination. Yes, it was patterned after the NBA; but being a football fan, I was also aware that its format was similar to how many of the world’s football leagues were operated. The initial response to the Blades was outstanding. We placed the SENTRUM’s capacity at 4,000; and in the early days of the league, the Blades were attracting close to capacity. There was genuine interest in the team not only in the home city of Lipa but around the province as well. 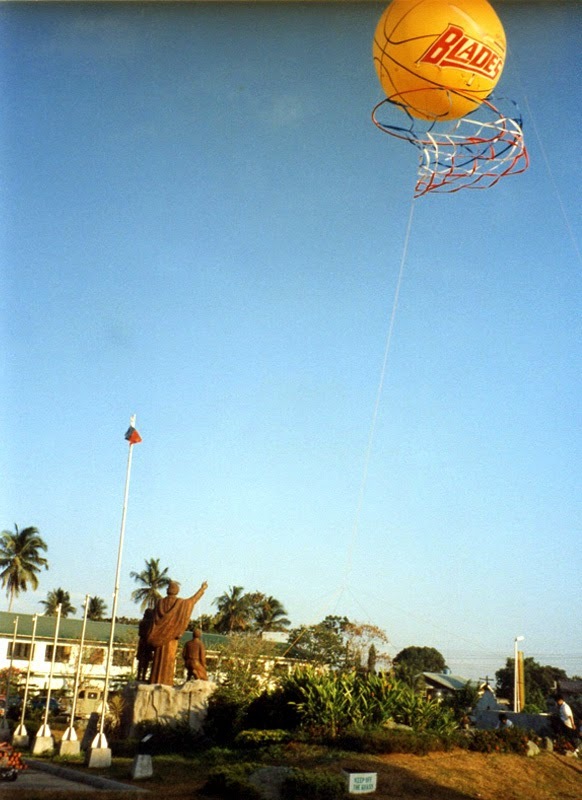 Sometimes, we would talk to people in the audience and some would tell us that they came from not only the nearby cities of Batangas and Tanauan but also from as far as the western towns of Lian and Nasugbu. The hometown support, however, was sustained only insofar as the team was winning. As happens everywhere else and not just in basketball, attendances began to dwindle once the Blades suffered a string of losses. I cannot recall exactly if it happened in the first or the second season of the league; but there was this really hard luck sequence when the Blades lost successive home matches in the endgame. I personally believe that it was this sequence that broke the locals’ sense of affinity with the team. Rather than go home in celebratory mood, those who had traveled to the SENTRUM went home after each match annoyed and frustrated. From being hometown heroes, the players quickly became, in the eyes of the local population, pansies who did not have the mental toughness to close out matches. The DLSL Pep Squad lent the Blades a hand on match days. Photo from the DLSL Archives. The Blades were not a bad team, mind! On the contrary, it came to the point when they found it easier to win away from home than at the SENTRUM. It was all psychological, I felt. The harder the players tried to please the home fans, the more nervous they became and the more difficult it also became to win. The Blades would repeat the following year as conference champions; but the Slashers would avenge their loss the year before. By this time, if memory serves me right, the Blades were no longer playing at the SENTRUM. The MBA would also close shop after the 2002 finals. The format was far better than that of the PBA. However, the latter, by playing in just one city, did not have to incur the sort of travel expenses that the MBA teams naturally had. As a financial entity, therefore, the MBA always had a mountain to climb to stay in the black. The MBA was a marvelous idea; but probably a tad ahead of its time. The reason home-and-away leagues work abroad is that citizens not only have the money but are also willing to spend it to support their teams. One day in the future, perhaps, something like the MBA may come our way again; and hopefully not just in basketball. As for the Batangas Blades, I still wonder how different things could have been had the players managed to actually turn around that hard luck sequence of losing successive home games.